556 pages | 94 Color Illus. Robert Kastenbaum (1932–2013) was Professor of Communications at Arizona State University. His other books include The Psychology of Death (1972, 1990, 2000); Dorian, Graying: Is Youth the Only Thing Worth Having? (1995); and On Our Way: The Final Passage Through Life and Death (2004). 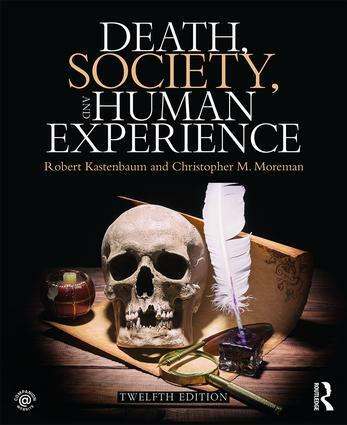 Christopher M. Moreman is Professor of Philosophy and Religious Studies at California State University East Bay, and has written and edited important books on topics related to death and dying. He is the editor of The Routledge Companion to Death and Dying (2018), the author of Beyond the Threshold: Afterlife Beliefs and Experiences in World Religions (2008), and the editor of the three-volume The Spiritualist Movement (2013).